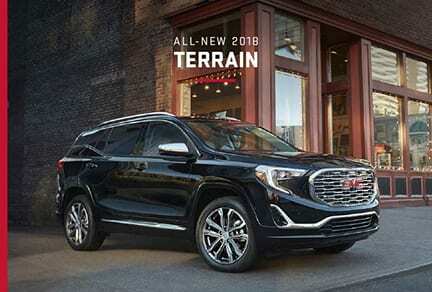 The new 2018 GMC Terrain is back with a sleek and forceful style that’s ready for where ever a driver and their passengers want to go. Today, sales for the compact SUV Terrain have exceeded over 700,000 and still counting. This latest version has a redesigned, second-generation of GMC’s premium compact SUV, offering greater refinement and versatility. New for 2018, is the Terrain’s features an innovative Electronic Precision Shift. This intuitive button and switch-based transmission system has a sleek, compact design. Gas mileage is quite respectable (see MPG info below), thanks to the 2.0L turbocharged DOHC DIVVT engine, that results in a 252 @5500 RPM that’s been SAE-certified. Inside, there’s authentic aluminum, soft-touch materials on the instrument panel and doors, with standard active noise cancellation for a ride that’s smooth and quiet. There’s leather-appointed front seats with mounted controls for audio, phone interface, a driver information center and cruise controls, are all conveniently located, all with state-of-the art technology. The expanded center console with pass-through storage underneath and side-by-side cupholders, give this SUV complete yet cool functionality. When it comes to the Terrain, storage is indeed it’s ‘best friend.’ There’s a front-to-back flat load floor that includes new fold-flat front-passenger and 60/40 split folding second-row seats. So, that means you can carry long objects (up to 8 feet) with ease. Standard exterior features include LED signature lighting, tail lamps with signature lighting and active aero shutters. 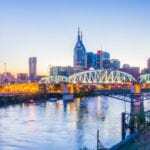 THE NUMBERS: Base Price: $28,795 – MPG: 22/City and 28/Hwy.